With less than two months remaining in the 83rd legislative session, Gov. Rick Perry on Monday called on state lawmakers to find $1.6 billion to give Texas businesses relief from the state’s franchise tax. Perry’s proposal consists of four parts: reducing the overall franchise tax rates by 5 percent, making permanent a $1 million deduction for businesses with up to $20 million in gross receipts, lowering the rate for businesses that file their taxes using the state’s simplified “EZ form” and allowing out-of-state companies that relocate to Texas to deduct their moving expenses. Perry said Texas needs to invest in more tax relief because other states are considering cutting their taxes to match Texas. “The idea that we can just sit here and think we can stay at the top of the heap is just not correct,” Perry said Monday at a news conference at the Austin Chamber of Commerce. 1. All through the session, as Democrats have called for restoring the brutal cuts that were made to public education in 2011, one of the main arguments made by Republicans for not doing so is that we ought to wait and see how the Supreme Court rules on the school finance lawsuit, since it won’t be until that point that the Legislature will know what (if anything) it needs to do to comply. One would think that the same logic would apply here. In particular, if the Court upholds the ruling on adequacy, the Lege will have to find several billions of dollars in new revenue for the schools. Seems like a bad idea to be cutting one of the primary sources of that revenue before you even know what will be needed. 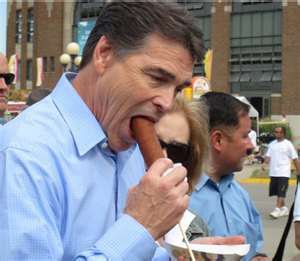 Not that Rick Perry cares about such trivia, of course. 2. Speaking of the schools, as we know the margins tax has consistently fallen well short of replacing the revenue lost to the schools when the property tax rate was cut in 2006 in response to the previous school finance lawsuit. I don’t see that fact being mentioned in any of the stories I’ve seen so far. 3. As with the other form of tax relief being offered so far this session, the benefits are going (exclusively in this case, primarily in the other) not to individuals but to businesses. If you think tax relief is what is needed this session – I don’t, but it takes all kinds – wouldn’t you at least like to actually see some of that relief? Unless you happen to be a business owner affected by the margins tax, you won’t. Too bad for you.